L'abbiamo segnalato. La campagna di sputtanamento del governo giallo-verde come "d'estrema destra" se non addirittura "fascista" è di dimensioni internazionali. Essa è martellante, soprattutto in alcuni paesi dell'Unione europea, anzitutto in Francia, a seguire Germania, Spagna ecc. Essa è animata dall'élite neoliberista dominante, decisa a riconsegnare il governo ai soliti noti. Certa sinistra "radicale", ovvero estremista nel difendere il cosmopolitismo liberale, occupa addirittura la prima linea di questa campagna. 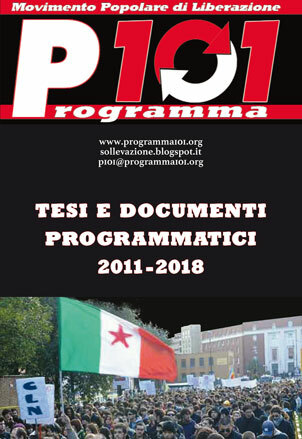 Su sollecitazione di tanti amici all'estero abbiamo quindi tradotto in inglese la Risoluzione approvata dalla Terza assemblea nazionale di Programma 101. Chi la condivide ci aiuti a farla circolare all'estero. The victory of “No” on 4th December 2016 constitutional referendum, must be considered as a watershed: with the neoliberal elite hegemony’s crisis, the second republic went down. That republic was born and developed in total subjection to euro-german oligarchy. 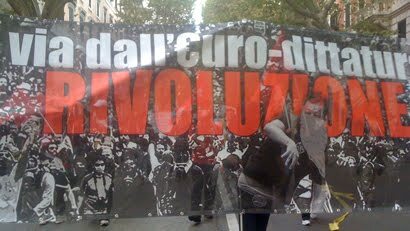 Italy was hit by a heavy economic crisis, entered a period of deep political, social and institutional instability. 1. the request for the end of the cruel austerity policy; 2. the call for the state to ensure security and protection against the increasing decay of the social fabric; 3. the urge to put an end to a situation of national humiliating submission. In spite of the desperate attempts of the elite to prevent it, M5S and Lega reached an agreement to form a government that is forced to take into account the popular push which supports it. This new government is aware that this push will lead inevitably to a collision course with the European oligarchic powers and the Italian great bourgeoisie. It won’t have an easy life, instead it it will be forced to sail in the rough waters between Scylla and Charybdis. It’ll face the dilemma of complying with the popular demands or being overwhelmed by the revenge of euroligarchic block that despite the fact that it has lost control of the Italian government, still holds all the others. We said and we confirm that a breach of the mandate given by the electors, will bring this government to a wreck meanwhile it ‘ll be a disaster for the working people, not just in Italy. The great powers are working hard in order to overthrow this “populist” government so to confirm the validity of the dogma T.I.N.A (There Is No Alternative), stating that no alternative to their dominance is indeed possible. Under these conditions we not only do not wish the demise or the fall of this government but we must stay on its side wherever it’ll start a fight to free the country from the eurocratic cage and the austerity policies which prevent its renaissance. This is the case of the so called “Decreto dignità” which in spite of its modest scope, marks a change of direction compared to the wild threaten job security started in the ‘90s. In this concrete contest we must stay in the populist field. Outside this field there is just the dominant block. But there are different ways to stay on the “populist” side. It would be a fatal flow to assume a position of condescending attitude towards this M5S and Lega government. It should be pushed to accomplish with the right promises it made and must be combated whenever it would look for a water line or would shows a submissiveness attitude towards the dominant elites. The issues at stake are different but chain-linked, nevertheless there is a priority, a hierarchical order. 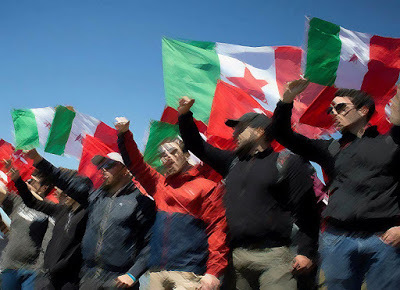 The globalist elites, in a kind of mirror theatre with Matteo Salvini, tried to transform the migration issue in a battleground, it’s a trick that won’t last long. Actually the economic and social issues will be the real testing ring for this government in order to discover its real nature together with its fate. In September the government should present the DEF, which describes the macroeconomic and social measures and then, within October, submit to Parliament the Budget Law. In this contest there are only three possible paths to be taken. The first one, the less desirable, it’s that the government decides to respect the budget policies drawn by the European Union, as all the previous governments did. 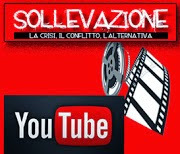 In this case, the patriotic and popular left while rejecting any collateralized relation with the elite and its appendices, will oppose the M5S and Lega government. If, however, the government would, as we hope and in the interests of working people, defy and disobey the EU, it’ll be a real change of direction. It would start a battle against major powers, a battle whose outcome will depend on government’s firmness, on its ability to withstand enemy counteroffensive. In order to withstand, the government would be forced to call on popular mobilization. There is however a third possibility, that is the UE grants the “populist” government narrow margins of flexibility about budget policies. This would mean a temporary ceasefire, a buy time. It won’t last long, the moment of truth would just be delayed. Whatever it’ll be, the end of the long neoliberal globalism cycle, evidenced also by the so called “war of duties”, won’t be painless. There’ll be social repercussions, huge turmoil, new political and institutional heart quakes, blocks crushing. It’s in this crucible, not in a relaxed passage, that the patriotic and popular left, or in other words, the “revolutionary populism” will have to plow through. If the situation worsens because of the clash with the euro-german oligarchy, this would put on the agenda the exit from the EU, throwing the country as well as the Union, in an explosive situation. In such a case, our duty will be to support the formation of a popular patriotic left which will play the role of third leg on “populist field”. It is so far necessary to identify those political and social forces as well all those groups and intellectuals who are in line with our statements, who will accept to throw themselves into the breach and make front in order to win the fight for a constitutional, national democratic sovereignty. This fight could be won only on condition that M5S and Lega would accept to massively mobilize citizens, because they won’t have any way out by closing themselves in the Palace. In such a contest could be concretely put on the agenda the setting-up of a new Comitato di Liberazione Nazionale (National Liberation Committee). It’s on the heat of battle, inside this field, that the patriotic left must bring the challenge to M5S and Lega for the hegemony by opposing them a perspective and a project they have not. Having made those points, which are the tasks in the coming months? First of all we have to push the government to accomplish with some real immediate measures in support of the working people. Some of these are already in the “Contratto di governo” (agreement on government, set by M5S and Lega; Translator’s note): environmental protection, right amendment of Fornero law ( concerning the retirement; Translator’s note), increase of minimum pensions, income of citizenship, legal minimum wage, public investments plan with a national bank to support it, fight against mass unemployment, contrast the precariousness of work, revision of the “buona scuola” decree. We have to reject those liberal measures as the so called “flat tax” (notwithstanding the need for an equitable fiscal reform), as well as any securitarian laws (without prejudice to the necessity for citizens to feel safe from great and small criminality). Some additional measures, as the one concerning the right to housing, must be put on the table. Furthermore there is at stake the future of dozens of big, small and medium-sized enterprises responsible for lots of jobs and for the future of the industrial and agricultural fabric of the country. We must support what these workers ask to the government, if necessary nationalizing these companies as in the case of Alitalia or Terni, Taranto and Piombino steelworks. In view of a possible incoming struggle, we need to encourage the most extensive popular, worker and youth mobilization. We have to structure it in agitation committees to be merged in a national popular net open to all social, trade union and environmental organizations already in existence but scattered over the different territories.